After bringing regional retro and classical music to more than a million people, Saregama has now launched yet another bluetooth speaker for its Telugu audience. Carvaan Mini Legends Telugu offers a special, curated collection of 351 popular songs from various artists like Akkineni Nageswara Rao, N.T. Rama Rao, S.P. Balasubrahmanyam and Ghantasala. Carvaan Mini Legends Telugu offers features like Bluetooth, USB and AUX, along with preloaded songs. The compact speaker also allows one to tune into AM/FM. This easy to carry speaker comes with four hour battery back-up and a six-month warranty period. This all-in-one music player is a perfect speaker for a getaway and yet stay connected to your roots. 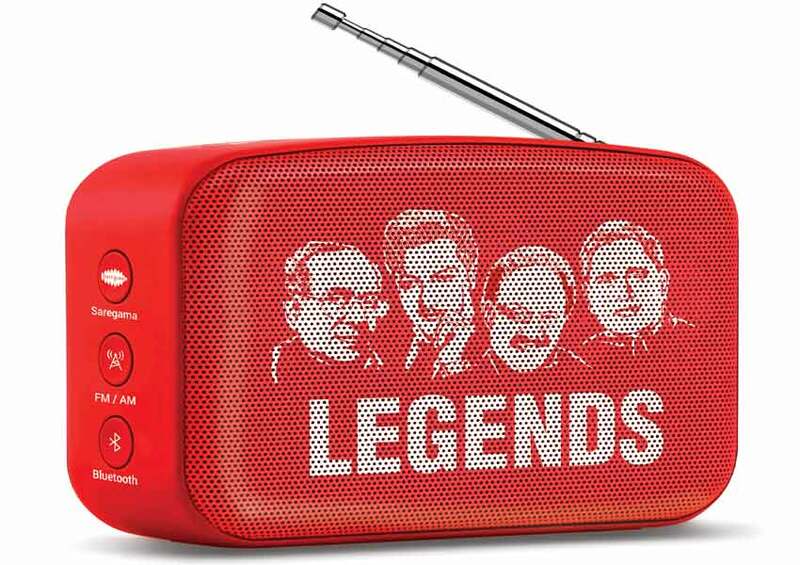 Carvaan Mini Legends – Telugu is economically priced at Rs 2490/- and will be available on www.saregama.com and your nearest retail outlets.